Milton Falls Media, Inc., 9781945354007, 258pp. "A truly enjoyable read" about "the power of quilts to connect, heal, and restore the soul." --Marianne Fons. From Frances O'Roark Dowell -- bestselling author of Dovey Coe, The Secret Language of Girls, Trouble the Water and other "beloved books for tweens and teenagers" (New York Times Sunday Book Review) -- comes Birds in the Air, Dowell's first novel for adults. 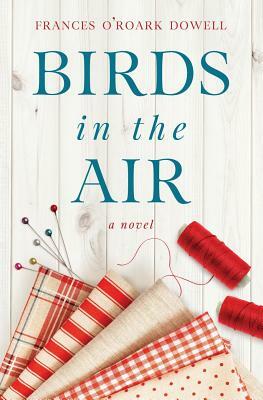 With Birds in the Air, Frances O'Roark Dowell (winner of the Edgar Award, the William Allen White Award and the Christopher Medal) has created a warm, funny novel about fitting in, falling out and mending frayed relationships one stitch at a time.